An Iowa State University lab uses thousands of digital cameras to study how seeds perform. The institute still has greenhouses and traditional wet labs, but the time-honored tradition of crossbreeding plants again and again to get the best traits is no longer the primary way the science is done. Now, scientists are harnessing the power of Big Data in an effort to make the process more focused and faster. That means plant breeders can potentially bring more different new seeds, maximized for different environments, to market faster. More productive seeds ultimately lead to more food for the world’s growing population. At Iowa State's Plant Sciences Institute, Pat Schnable leads a group that collaborates with data scientists. Once scientists sequenced the human genome about 20 years ago, plant breeders adapted that breakthrough to mapping plant genetics. The research possibilities exploded. To make use of them, however, Schnable says biologists needed ways to handle copious amounts of information. Imagine collecting one photo every ten minutes for several months, times a thousand cameras. In addition to biologists and chemists, Schnable needed to bring in people with expertise in computational science and engineering to deal with that much data. Now, engineers create sensors and other physical tools to gather information. Computational scientists write code that pulls out the useful bits and bytes from all those image files the cameras make. And then the biologists can study the results and design focused experiments about, say, why some plants grow taller. 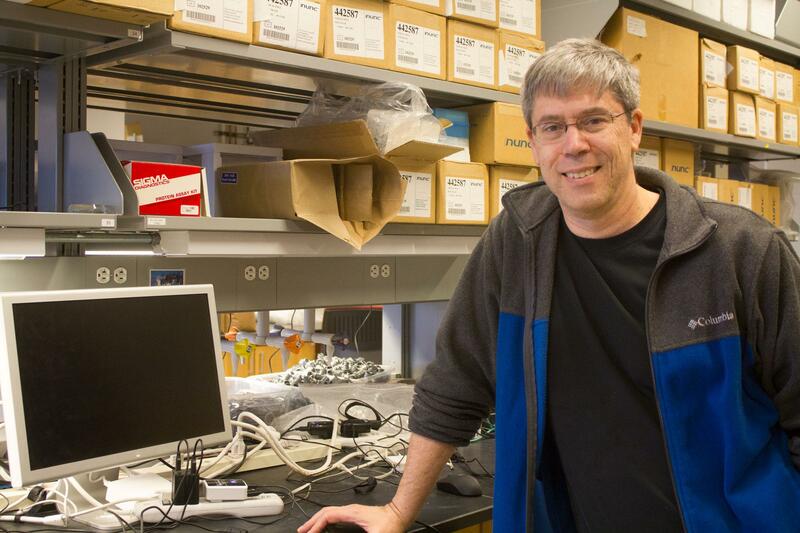 “Using statistical approaches, which didn't exist 20 years ago also, we can make very strong hypotheses about which genes are regulating height,” Schnable says. By marrying the genetic advancements and custom technology, Schnable says his team can move more quickly and deliver more bang for the research buck. And it’s not just theoretical. ...the level of innovation that's actually occurring in Des Moines, Iowa, I think, is extraordinary. The Swiss agricultural company Syngenta has an entire group dedicated to computational science. 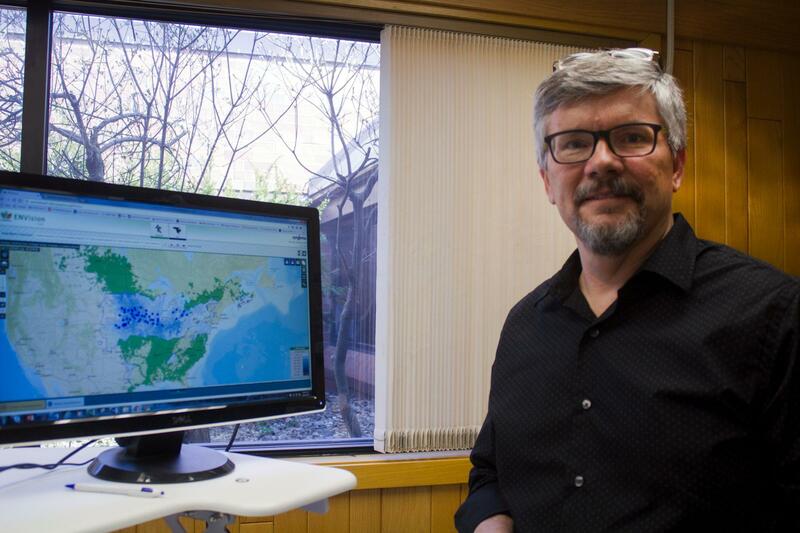 At its research center in Slater, Iowa, Mark Hamilton pulls up software that shows a map of North America and all the places where soybeans are grown. He can overlay data about the soil type, the average temperature and the density of acres planted in soybeans. Then, he can ask the program to show him how different seeds performed in different places. He clicks a few options and then looks at how one hybrid seed compares to others. Syngenta’s Joseph Bryum, who leads the company’s computational sciences team, says agricultural researchers can learn from how other companies exploit data science. Syngenta's Mark Hamilton demonstrates software that relies upon Big Data to help develop better seeds. Advances in technology have always brought changes to our food system and big companies like Monsanto, DuPont and Syngenta have massive research budgets. Big Data is the latest interdisciplinary approach. Byrum’s team includes biologists, agronomists, mathematicians – even an experimental physicist. Once you present a problem in a way everyone can work on, he says, the broad-based approach to solving it reaps rewards. That, in turn, attracts top talent. And a young, ambitious data scientist is going to find the rent is a lot cheaper on the prairie than on the coasts. A new tractor often costs hundreds of thousands of dollars, but not included in that price: the right to repair it. That has put farmers on the front lines of a battle pitting consumers against the makers of all kinds of consumer goods, from tractors to refrigerators to smart phones. President Donald Trump has nominated former Georgia Gov. Sonny Perdue as Agriculture Secretary, bucking a recent trend of Midwest leadership at the U.S. Department of Agriculture and making many in the farm country of the Midwest and Great Plans a little leery. Coupled with the appointments of leaders from Oklahoma and Texas to head the Environmental Protection Agency (EPA) and the Department of Energy, respectively, there looks to be a shift in the power center of the parts of the federal government that most directly impact agriculture.